You're reading it right! 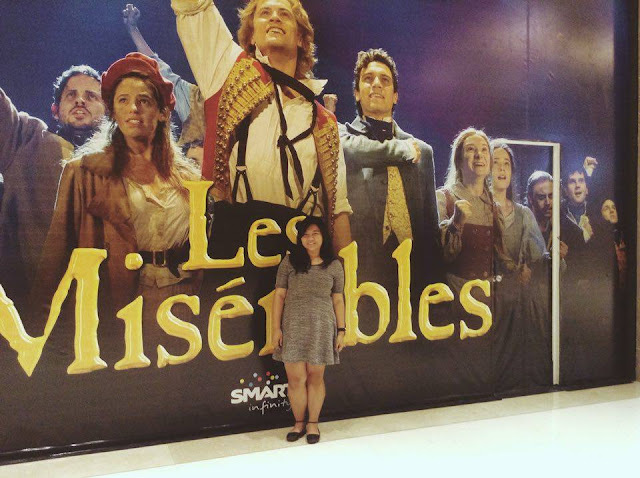 I got to see the barricades rise before the Les Miserables closed earlier this month (May 1). 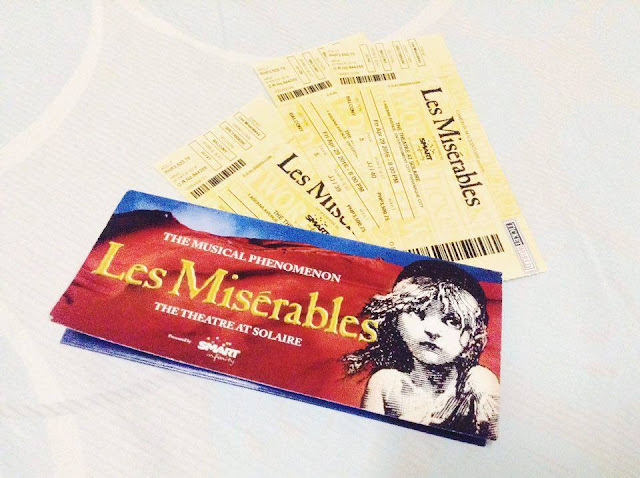 I was so stoked to see the show when it was first announced that Les Mis will be coming here in Manila. But since I had hopes of watching the show in the West End in the future, I was kind of reluctant about seeing the company here. I was delaying my purchase of tickets. And then, when I left for a trip, my mom and my sister, who were both fans of the musical too, bought the tickets before I was back. What? I couldn't say no to that! I was in for the last Friday evening show. I swear the only thing keeping me from jumping up and down as I got in the theater was the fact that I was a bit hungry. (I didn't eat before the show.) (Tip: Eat before entering The Theatre at Solaire because the food is really, really pricey) These posters you get to see upon entering the Theatre will pump you up for show vibes. A charming large Barricade crew tarpaulin(?) in the entrance is more than enough to excite you for the show. I've only ever watched the movie musical version of Les Mis so I really had no idea what to expect from the stage. 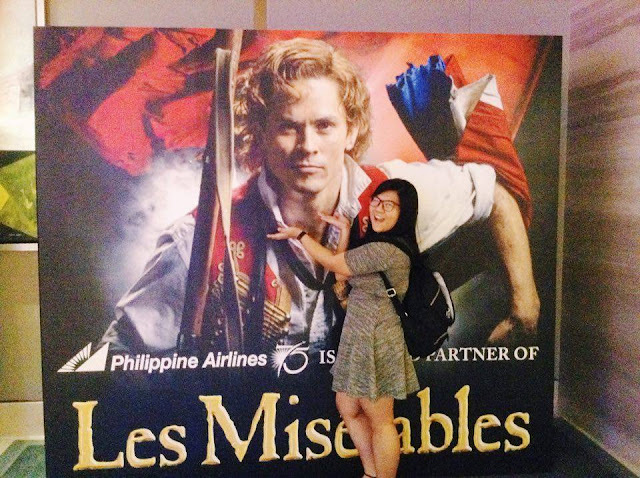 The only guy I ever "really" liked singing in the movie was Enjolras (hence, my unending love for Aaron Tveit). Seeing the musical on stage sure is refreshing. The cast was amazing and on point. The rapport between Fantine and Valjean was something I never quite caught properly on the film. But the one who really caught my ears and my eyes-- it was Enjolras. With my Enjolras bias aside, Chris Durling's voice was remarkable and refreshing in my ears. Over all, I enjoyed this first time watching a musical on stage! Also, the ambiance in th Theatre at Solaire makes me feel like I would like to see Wicked the Musical this coming 2017. I'm hoping this is the start of my streak for watching musicals.